Kelambakkam is one of the fastest growing residential areas in Chennai, which has been witnessing an outstanding property appreciation over the past few years. The major reason for this price appreciation is the advantage of close proximity to the IT corridor (Rajiv Gandhi Salai), which has increased the demand of residential properties in Kelambakkam. 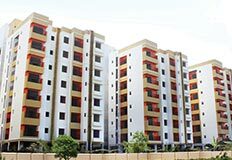 Located along the IT corridor, the working professionals are more attracts towards buying individual houses or apartments in Kelambakkam, say the real estate experts. Apart from it, the area has good connectivity to the major places of Chennai and major areas of the east coast road through frequent buses and other major transportation facilities. These advantageous aspects have grasped the attention of the property investors and home buyers to a great extent. Owing to these factors, the real estate builders have targeted Kelambakkam to make business out of it. Thus, the area is seeing numerous ranges of residential projects that are being built by leading residential real estate developers in the city. The range of residential properties that a home buyer can find in Kelambakkam includes gated community residential apartments, independent villas, individual houses, row houses etc. 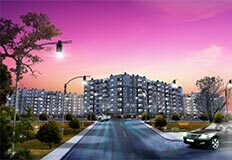 Especially, the demand is high for the gated community residential apartments in Kelambakkam, as these residential projects are built with all the essential amenities required for modern living. Therefore, the nearby office workers from SIPCOT and other major IT/BPO companies are attracted towards these gated community flats in Kelambakam. In the recent years, property investment in the edges of the metropolis has been increasing among the property investors. This is owing to the lack of more choices in the main areas of the city and expensive price tag. Besides, these residential properties in the fringes of the city will provide greater return on investment in the near future. Kelambakkam is one of such areas in the city, which have been the most preferred destinations for property investment in the recent times. Moreover, the individual houses and residential apartments for sale in Kelambakkam are available at reasonable rates when compared to the properties located in the major areas of Chennai. Thus, the residential flats in Kelambakkam attract the mid-income groups widely. As a result, the demand for the apartments has been mounting up to a great extend. Surrounded by major IT companies, the requirement of home for lease or rent will be always high among the working professionals. Therefore, the home buyers and property investors can earn more profit by renting their residential flats in Kelambakkam. 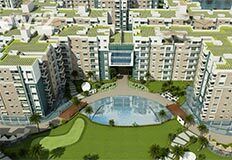 The 2bhk apartments and 1 bhk apartments in Kelambakkam are the most demanded types of homes that are demanded by the employees of the IT companies, say the real estate sources. Owing to the demand of these types of homes, the residential real estate developers constructs the residential projects that comprise of residential apartments in Kelambakkam. With the further commercial and infrastructure developments are in the pipeline, the capital appreciation of the residential flats near Kelambakkam will be remarkable at the time to come. Thus, it’s an ideal choice for the home buyers and property investors to prefer these residential flats for sale in Kelambakkam to get better return on investment in the future.